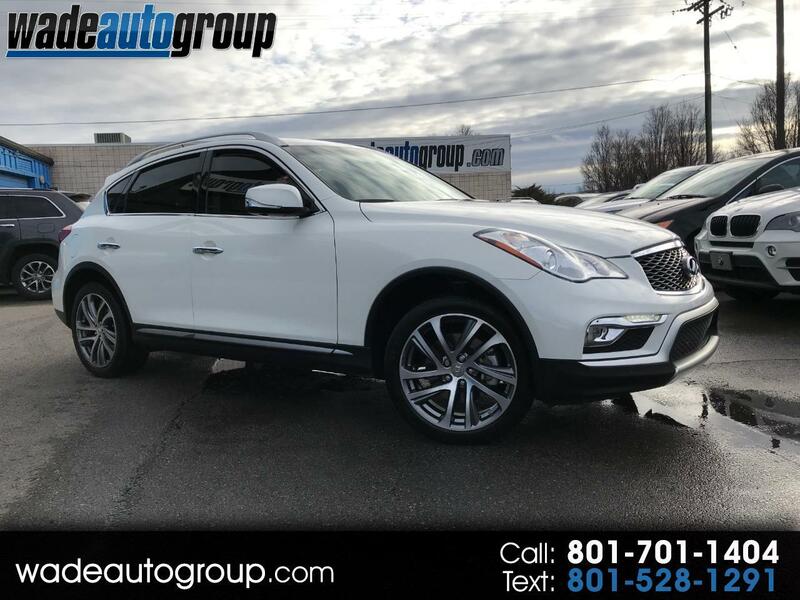 2017 INFINITI QX50 AWD 3.6L V6, White w/ Beige Leather Interior, 38k Miles, LOCAL TRADE! Technology Pkg, Premium Pkg, Under Warranty by Infiniti, Bluetooth Connection, Sunroof, Back-Up Camera (360 view), Parking Assist, Push to Start, Keyless Entry, Steering Wheel Audio Control, Dual Air, Steering Wheel Audio Controls. Here at Wade Auto Group we sell quality vehicles at low prices. This car has a CLEAN TITLE. Call now or visit us at www.wadeautogroup.com WADE AUTO GROUP 12277 South 700 West Draper UT 84020 ''You've got it made with WADE'' WE BUY TRADES.....Extended Warranties available, call for more informatioN. Message: Thought you might be interested in this 2017 Infiniti QX50.